Haiti’s Housing and Eviction Crisis After the earthquake of January 12th, over 2 million survivors sought refuge in camps constructed on available open land. 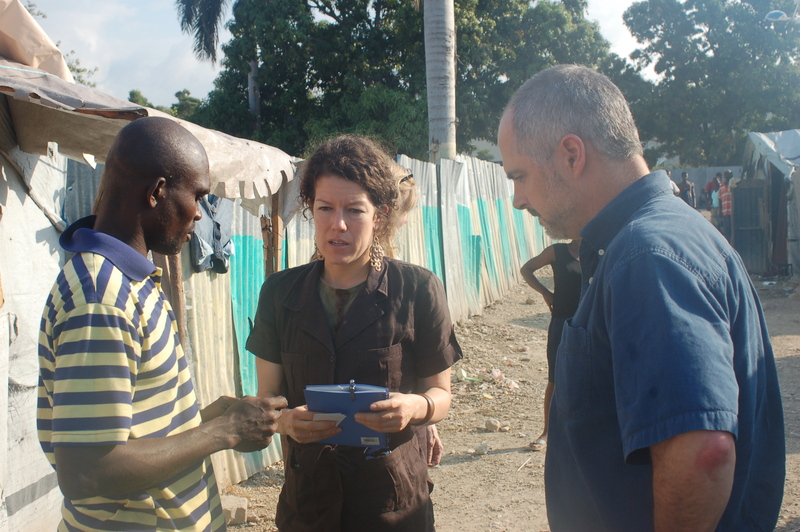 There are an estimated 1,000 camps in Port au Prince alone. Living conditions in the camps are horrible. Many people have very little access to food, potable water, sanitation services or secure housing. By mid-April, thousands of residents of these encampments had been threatened or forcibly evicted by the Haitian government and private land owners. As an interim solution to the humanitarian crisis, the United Nations helped negotiate a 3-week moratorium on evictions with the Haitian government, which ended May 13. Within that period reports of evictions continued, and still continue to this day. 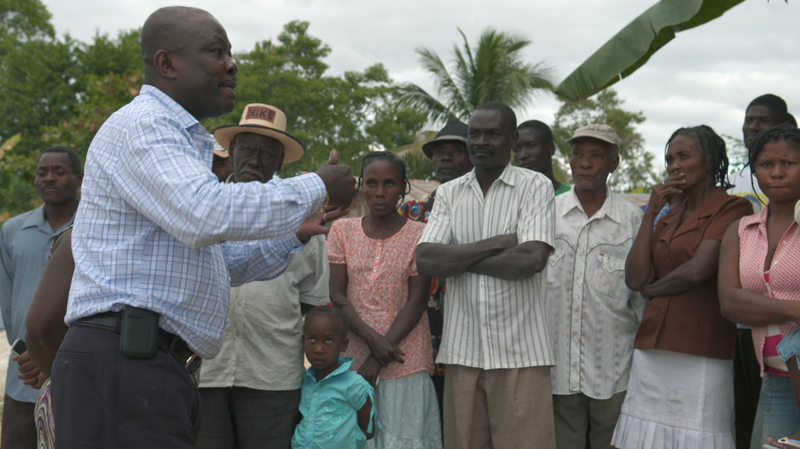 Grassroots Organizing includes partnering with grassroots groups in Haiti and international allies to support internally displaced communities fight against unlawful eviction and advocate for their right to housing. Legal Advocacy includes investigating cases of wrongful evictions and other housing violations to bring justice in Haitian courts and international forums. IJDH, in collaboration with a team of Haitian and international human rights and housing lawyers, is preparing a petition before the Inter-American Commission on Human Rights (IACHR) against the Haitian government on behalf of Haitians who have been threatened with or forcibly evicted from internal displacement camps. IJDH will work with grassroots organizers to implement and enforce human rights awards through the Haitian government, private land owners and UN-based bodies. Public Advocacy includes shaping the debate on the housing rights of poor and internally displaced Haitians, both in Haiti and abroad. Advocacy will highlight the vulnerability of women, children, the elderly, and the disabled to abuses. Advocacy will also include legislative advocacy, media campaigns and demonstrations. This video was produced for a hearing on forced evictions before the Inter-American Commission on Human Rights in October 2010. 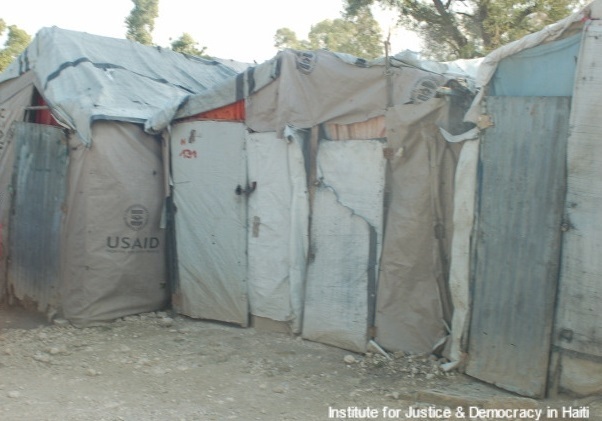 IJDH-BAI and our partners won the hearing and the Commission recommended that the Government of Haiti stop all evictions from Internally Displaced Persons (IDP) camps immediately. Click HERE for the latest articles on housing. Below is an excerpt from this document.